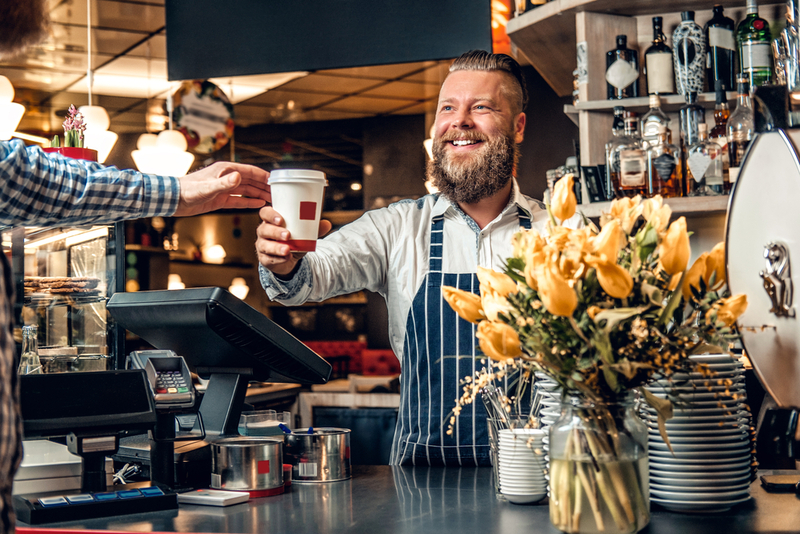 Cross-selling and upselling are important ways to build relationships with customers, but it needs to be individualized and done at the right time. The person who expects her barista to know ahead of time that she always gets a grande, quad, nonfat, one-pump, no-whip mocha is also going to expect her bank to accurately predict the products and services she needs. Offering a home equity loan to a renter, for example, is not going to aid in relationship building. Instead, it shows the customer that their bank doesn’t know them at all. From a financial perspective, taking steps to retain existing customers is a no-brainer. It costs a lot more to attract a new customer than it does to keep one you have already attracted. Despite this fact, many financial institutions have not made the necessary changes to their onboarding process to help retention. That could be why attrition rates of customers in their first year still stand at 20 percent to 25 percent. It comes down to customers not getting what they want and expect in their digital banking experience. In order to truly provide this, it’s going to take a major shift in focus for financial institutions. Today’s customers are used to getting what they want when and how they want it. They live in an Amazon and Starbucks world, and banks operate in that world as well. If financial institutions don’t shift their focus to providing a high-quality digital customer experience, they will lose out to the organizations that do. Banks and credit unions have for many years put the focus on growing transactions. Executives were awarded for simply opening new accounts. In a world where customers expect a high-quality customer experience, the transaction itself becomes less important. What is critical is the 90-day period after an account is opened and what happens to the customer during that time. Of the bank customers that attrite within the first year, half don’t even make it past the first 90 days of opening an account, which is why immediate customer engagement is essential. Communication needs to be consistent and individualized for each client. Recent Banking Administration Institute research shows that there is a disconnect between what people want most from their financial institution and what banks are prioritizing. When asked how their customer experience could be improved, the most popular answer from consumers was to provide a better omnichannel experience. Customers were frustrated by having to start over between channels. When banks were asked about their priorities, improving the omnichannel experience was never even mentioned. Even though the digital onboarding process happens at the beginning of the customer’s journey, it’s important that the full customer lifecycle is envisioned from the beginning. It’s great when a new customer opens an account, but if the account isn’t profitable, it was really all for naught. It’s a lot easier and more common than it used to be to change banks and have accounts with several different banks. That’s another reason why a positive customer experience is paramount. Banks may be ready to take customer experience to the next level, but often there are obstacles standing in the way. Operational silos and legacy banking systems don’t permit the necessary personalization and streamlined communication. What’s needed is an onboarding engagement platform that can make customer experience management easy. Data collection, digital communication audit trails, and workflow configuration capabilities will make customer experience management in digital onboarding not only possible, but painless. It might even free up time to step out and pick up a no-whip mocha. Next Are You Prepared to Deliver a Seamless, Omni-channel Customer Experience?